Item # 314238 Stash Points: 5,195 (?) This is the number of points you get in The Zumiez Stash for purchasing this item. Stash points are redeemable for exclusive rewards only available to Zumiez Stash members. To redeem your points check out the rewards catalog on thestash.zumiez.com. Your eclectic style doesn't have to stop at your wardrobe. 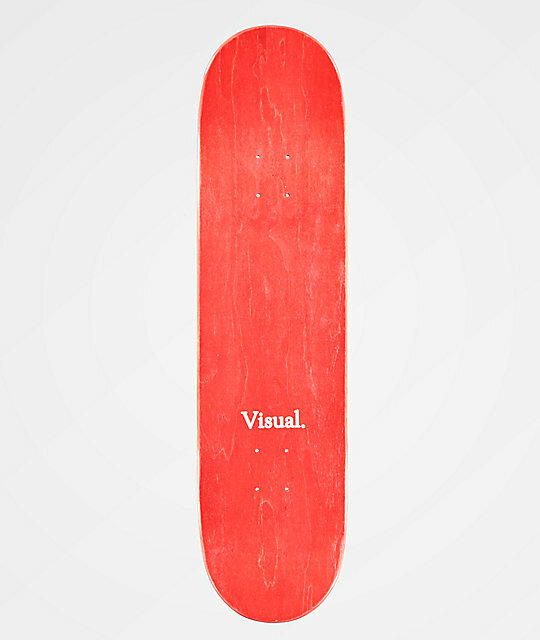 Show off your flip tricks with an artistic manner with Visual's Lola 8.5" Skateboard Deck. The Lola is designed with a classic popsicle deck shape and comes complete with an elegant graphic of a female with red lips sipping a straw from a glass soda bottle. 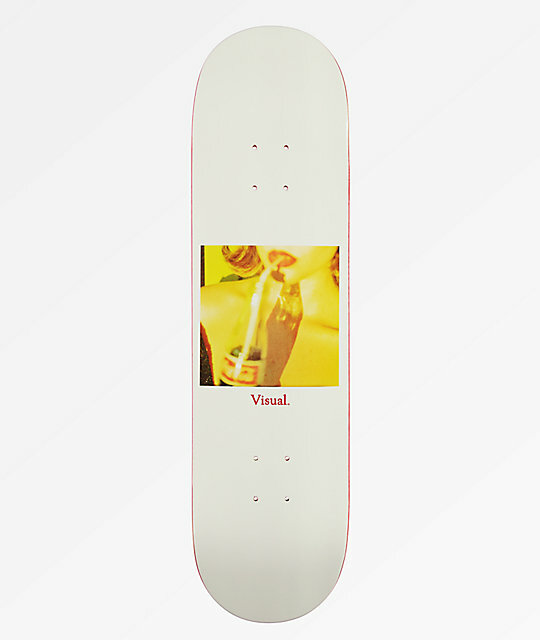 Lola 8.5" Skateboard Deck from Visual.